Do you like Mountain Mind? Share it with your friends. 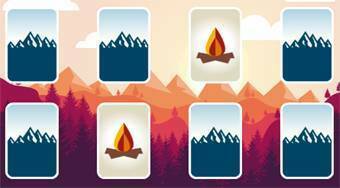 Mountain Mind is a great game designed for the smallest online gaming gamers to play a popular game card with pictures of objects you will encounter in mountain hiking. Select the number of cards on the board and then try to find all the same pairs as quickly as possible to remove all the cards from the board.